How do you raise Happy Kids? This manual tells you: In simple, easy to follow steps. 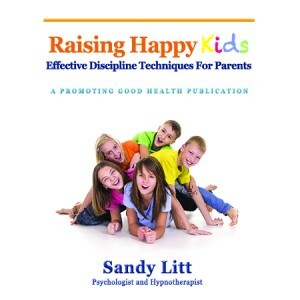 Raising Happy Kids is the first in the Pocket Parenting series. Over the years I have been asked to write a simple, straight forward, no nonsense book about effective discipline techniques for parents who are sick and tired of their children not doing what they are told to do, not completing simple daily and weekly chores or helping within their own family. This is a step-by-step, easy to follow manual to achieve the above but it is more that this. It is also a guide to help families connect and to share happy experiences together as a family. School did not prepare us for parenting! No lessons provided. Screaming babies, tantrums in two year olds, or teenagers with tunnel vision were not on the agenda. This book provides a few answers and techniques you will find useful in connecting with your kids: Like whispering when you are angry instead of yelling – your kids will hear you. They do not when you scream! As well as teaching easy discipline strategies it shows parents how to help empower their children emotionally – to connect to their own sense of love and worth thus making them more resilient to peer pressure and bullying. This book shows you how to turn parenting into fun, laughter and play. Enjoy!